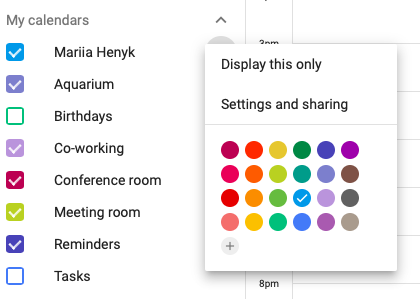 There are a couple of options to share your Google Calendar with others. 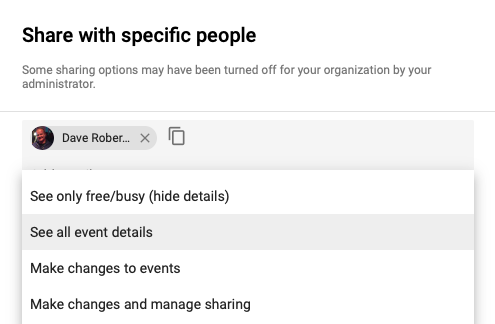 In Google Calendar settings, you can allow other people to see or edit events on your calendar. This option is great when you want to keep other people up-to-date about your schedule or delegate events to manage. When you need to show someone your schedule for specific day, week, or month without sharing your entire calendar, you can use Calendars 5. It's the best calendar and task manager app for iPhone and iPad. Get it now if you haven't done so yet. Open Google Calendar on your computer. There is no possibility of sharing the calendar using the Google Calendar app on your iPhone. 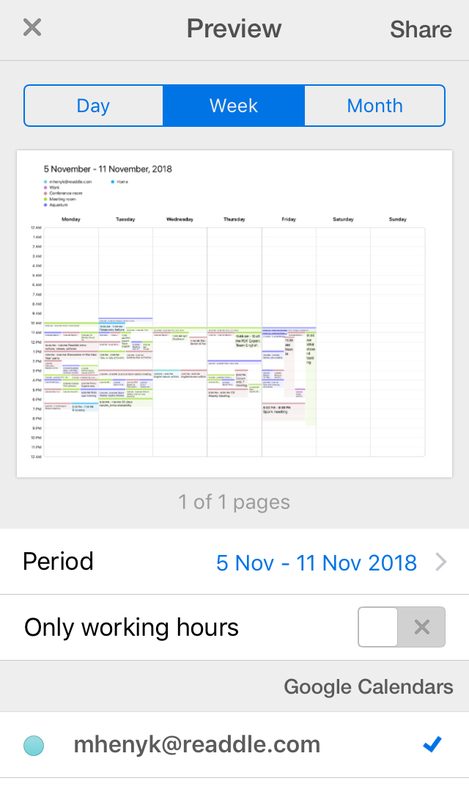 Click on the My Calendars section on the left to see the list of calendars. Hover over the calendar you want to share, click More and choose Settings and sharing. Enter the name or email address of the needed person. Click Permissions and choose one of the options from the list. You can decide how other people see your calendar and if they can manage events. Click Send to share your calendar. The people you've shared your calendar with can see it in their "Other calendars" list. When you share a calendar with an email group, they need to click on the link in the email invitation from Google Calendar. Then, the shared calendar appears on their "Other calendars" list. Alternatively, you can open Settings > Export Your Calendar. Decide which calendars you want to share. You can export your schedule for a specific day, week, or month. Tap Period to choose the needed dates. If you want to share only the events scheduled for your working hours, enable the Only working hours toggle. You can set your working hours in Settings > View Options > Working Hours. If you have multiple calendars, tick the ones you want to share. Tap Share at the top right and choose the sharing option. For example, you can email your calendar, send it via iMessage, save it to Files, etc. Your calendar is exported as PDF file.